[NHDOE-ETNews] Free Interactive Presidential Primary Sources Project Kicks Off in January - Register Now! UNH Broadband Services is New Hampshire’s Internet2 connector for education and research as part of the Internet2 Community Anchor Program. This year’s free, interactive distance learning program kicks off in January for grades 6-12! Sign up for the Presidential Primary Sources Project (PPSP) today! Learn about presidents like Abraham Lincoln, Theodore Roosevelt, and Ulysses S. Grant directly from National Park Service rangers and presidential historians in this live, interactive web series. 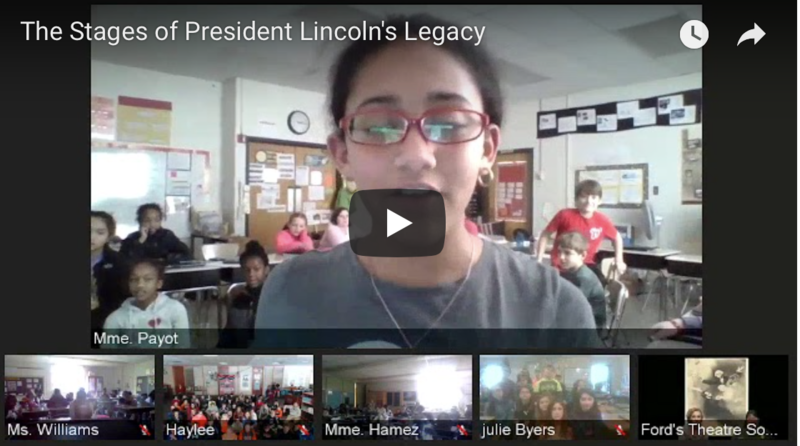 Share the presidents’ stories with your students through live interactive video and primary source documents. Hosted at the the National Mall & Memorial Parks and Ford's Theatre, Washington D.C.<https://urldefense.proofpoint.com/v2/url?u=https-3A__www2.internet2.edu_e_66332_-2Dprimary-2Dsources-2Dproject-2D2018-2D_bkq87b_361585979&d=DwMGaQ&c=c6MrceVCY5m5A_KAUkrdoA&r=HcjzNboyr_H2By1Jaqx9iPXK72PRrRWNH73HDXOhP4E&m=YIReczPHdwMMfbGRUG_LnSbaIjr1250z74ATEKrWVPY&s=fApoqhjPEoCaJp9XJZFr2nLSBpNywS3Kpgj9mzbk2Eg&e=> (the site of President Lincoln's assassination) in January 2018, students from across the country participated and learned about President Lincoln and the things that mattered to him: unity, creativity and the right to rise. Copyright © 2018 Internet2, All rights reserved.